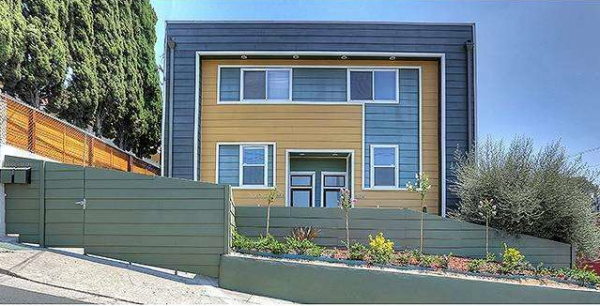 Home » Echo Park Homes For Sale » 1604 North Alvarado St.
Are you someone looking for a perfect owner-user investment property, that is turn-key ready in up-and-coming Echo Park (sorry, lots of hyphenation)? If you answered “Yes” then 1604 North Alvarado might be for you. 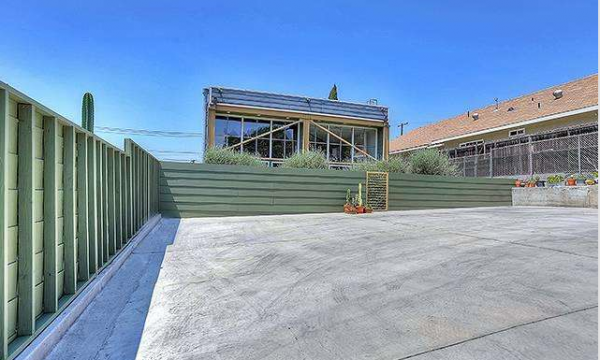 Built in 2008 just off of Glendale Blvd., and asking $1,049,000 for the lot, each unit of this boxy modern duplex features 2 bedrooms and 2 baths in just under 2,000 sq/ft of living space. 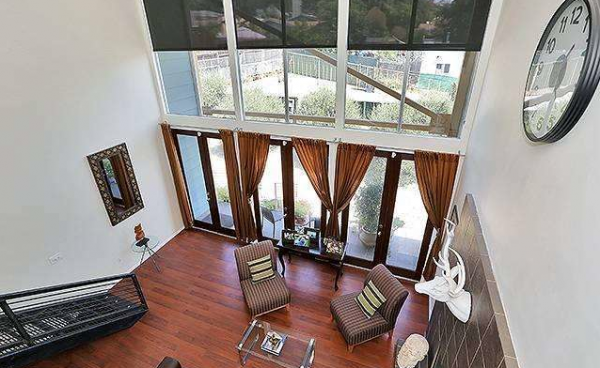 The open living area with a second floor loft and vaulted ceilings make for excellent entertaining ,while mixed materials like dark laminate floors, tile fireplace, exposed beams and metal stairs add to the modern flair. Floor to ceiling windows, with french doors, allow for an abundance of natural light (though the sun shades are a definite plus during twilight hours). 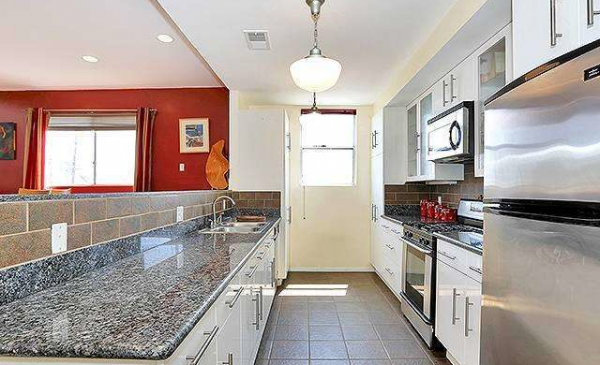 The galley kitchen looks out over the living and dining areas and features granite countertops, plenty of storage, and a plethora of stainless steel appliances. 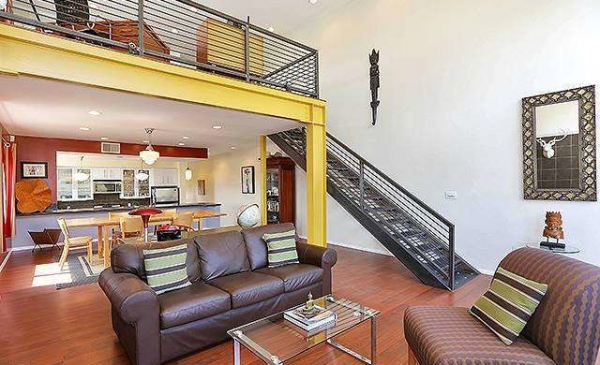 For me, the large loft space is really the selling point. It can be used as a family room, play room, office or a third bedroom when guests are in town. 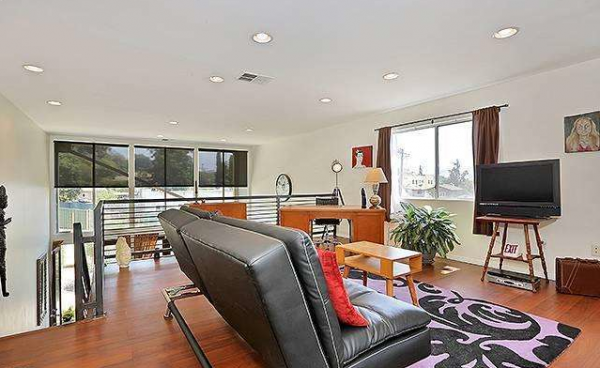 Looking out over the living room, it guarantees that you never miss any conversations going on downstairs. 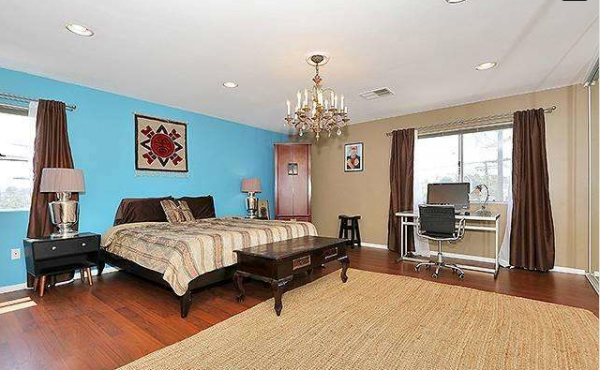 The master bedroom is spacious, while the second bedroom is definitely on the smaller side. For those of you who enjoy indoor/outdoor living, each unit features 3 french doors leading to a grass-free backyard (lawnmowers be damned!) full of drought-tolerant plants. And finally, these units feature a gated parking area large enough for 6+ vehicles. Though it hasn’t been tested, I’d say a skilled driver could pull of a few doughnuts in there. 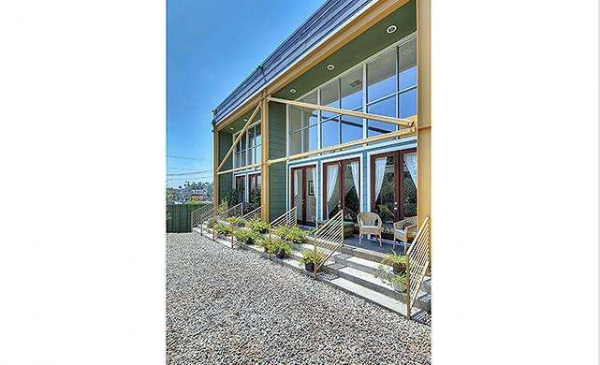 Nicholas Monteer of Coldwell Banker has the listing.